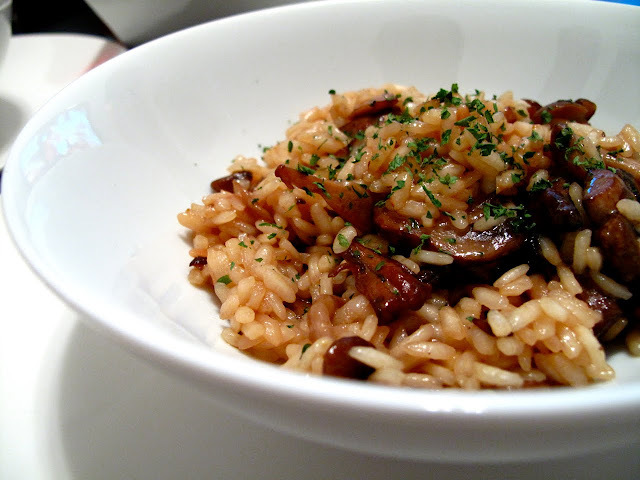 Our first attempt at mushroom risotto. Not bad! It came out very creamy and savory. I have to give much of the credit to B. He was the one who cooked the Arborio rice perfectly. The recipe can be found here.